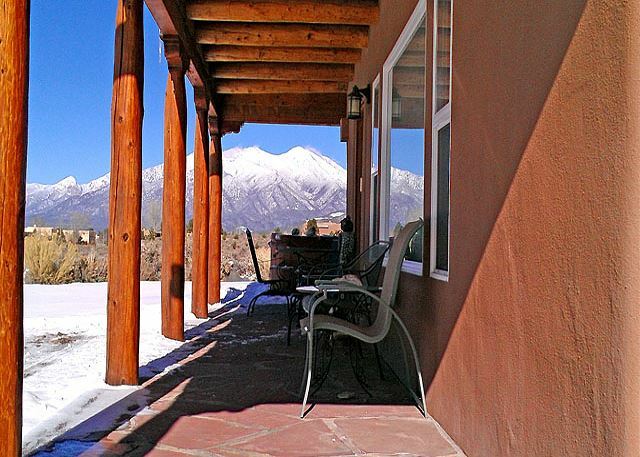 360 Degree mountain views from Heather's Hacienda in prestigious Weimer. A light and airy home showing dramatic high viga ceilings accented with herring-bone latilla' hand crafted from local mountain aspens. 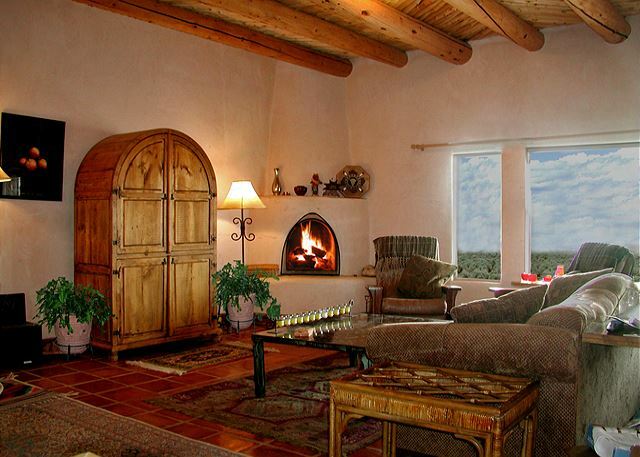 The traditional southwest wood burning kiva fireplace adds winter ambiance to this already inviting view home. Views are literally North, South, East and West. Just 1 mile to the Taos Youth & Family Center with pool, ice skating and other recreational facilities and a 15 minute walk to Carson National Forest and hiking trails. 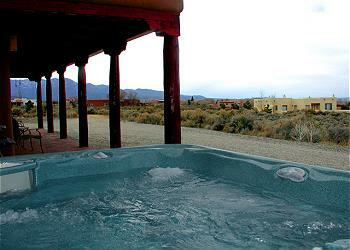 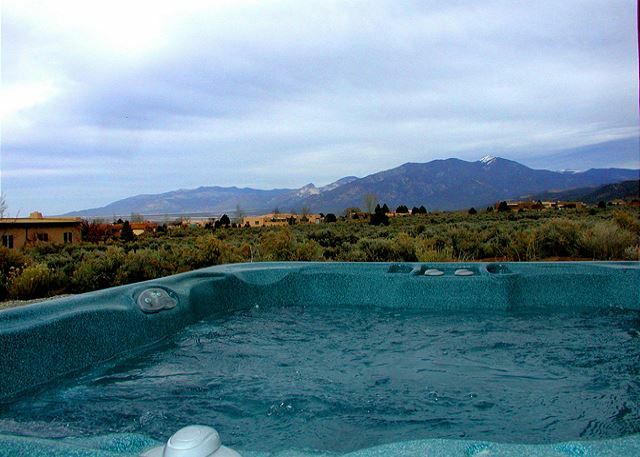 For added pleasure and recreation slip into the luscious hot tub for star gazing on starry nights and relaxing after a day of skiing, white water rafting, hiking, fishing, biking or southwest shopping. 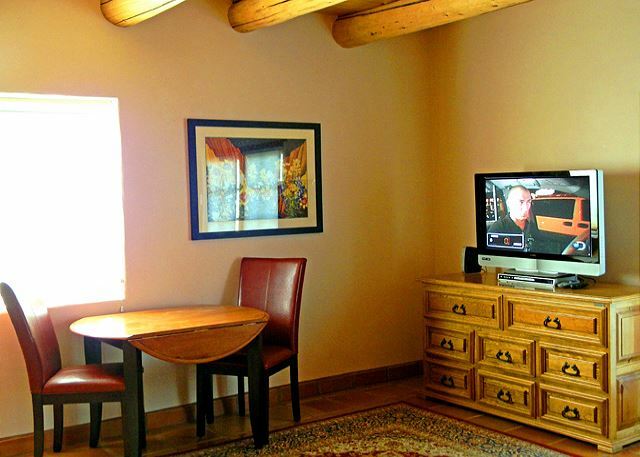 For extended entertainment, the living room and all 3 bedrooms have their own satellite TV's. Taos Heather's Hacienda offers 2 'Portalls' the traditional New Mexico outdoor large covered patio to extending the living area to take full advantage of New Mexico's mild winters and summers. 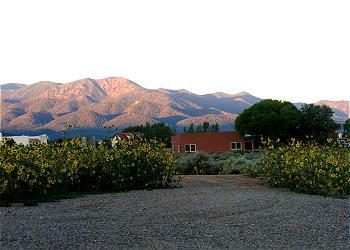 One Portall faces East for morning coffee and set up for bar-b-que. 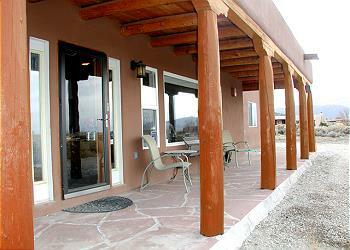 The second portall looks West for awe inspiring sunsets and also sports a second gas grill for anytime bar-b-que. 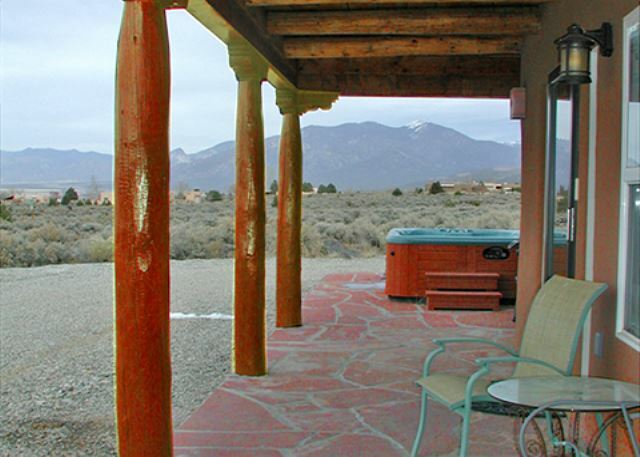 July 4th guests have the advantage of the once a year panoramic view of that big sky celebration right from their very own balconly like patio and/or hot tub. 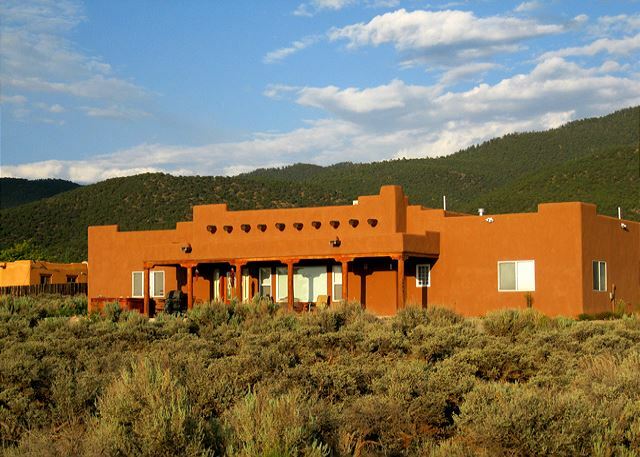 Also, rare and unique to Taos, Heather's Hacienda comes equipped with an efficient and central evaporative cooling system that functions in desert climates only. Those who have never experienced 'swamp cooling' as a form of air-conditioning are in for a real treat. 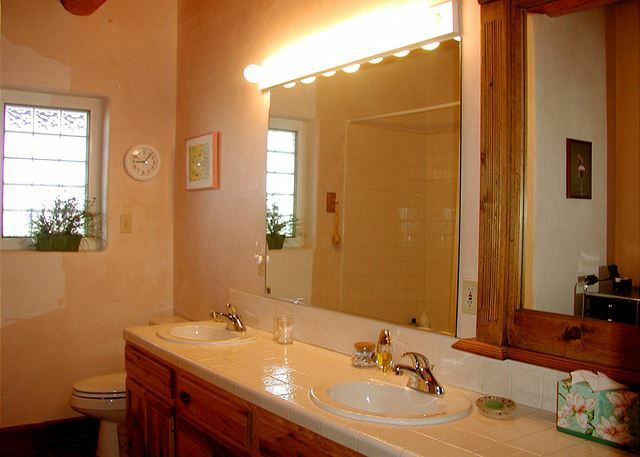 This very southwest style 3 bedroom 3 bathroom, 3 master bedroom home is located on a quiet residential street up on Prestigious Weimer Hill with east views to the Jemez Mountains and south views to the Sangre de Cristo Mountains where all homes are on minimum one or more acre parcels. 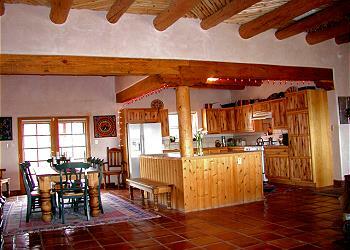 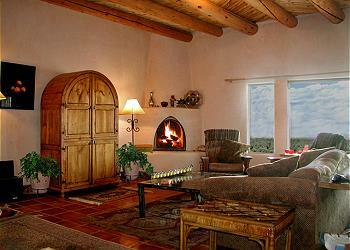 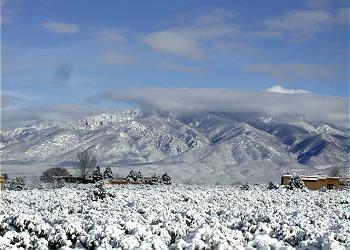 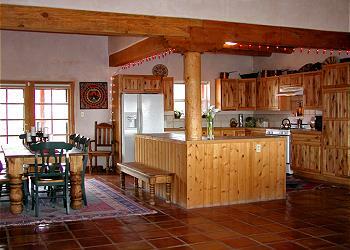 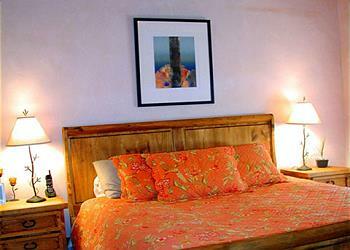 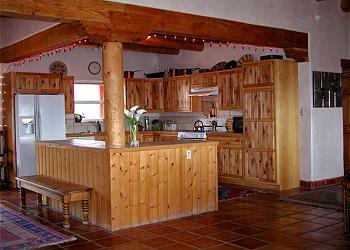 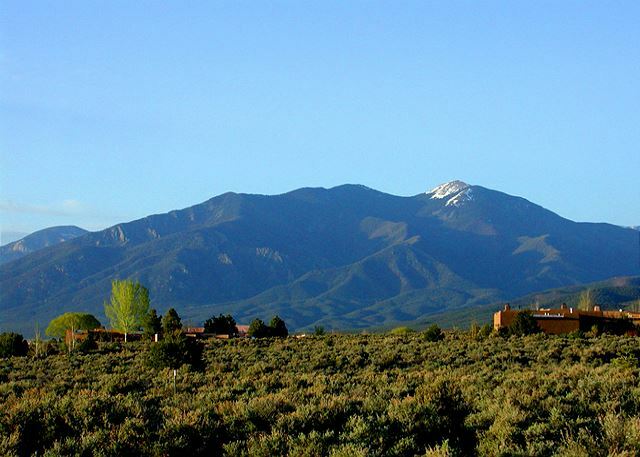 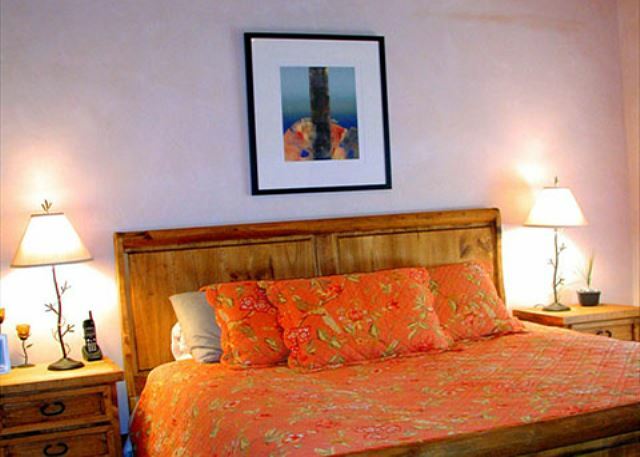 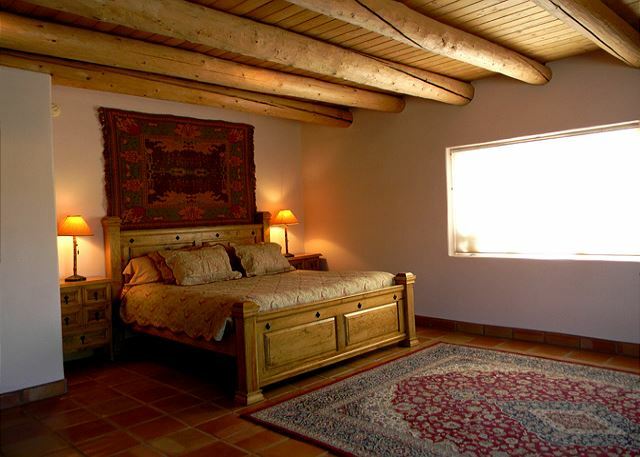 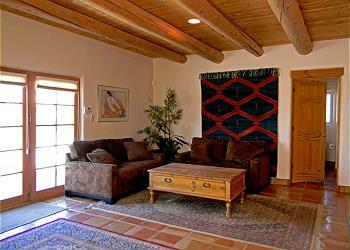 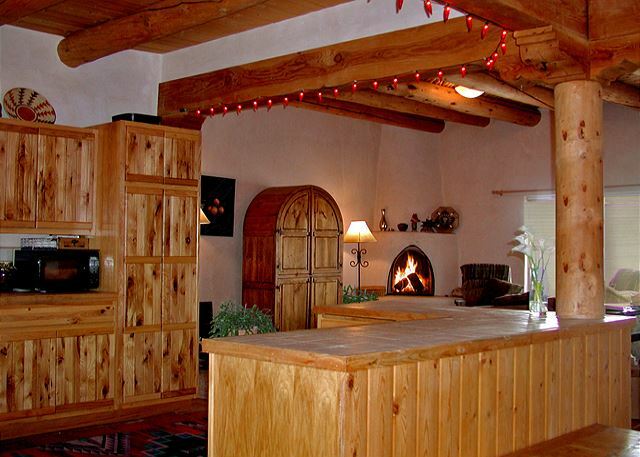 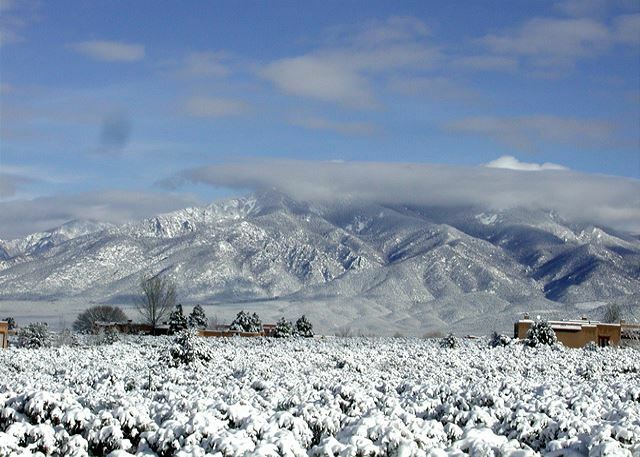 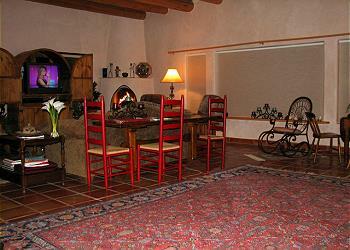 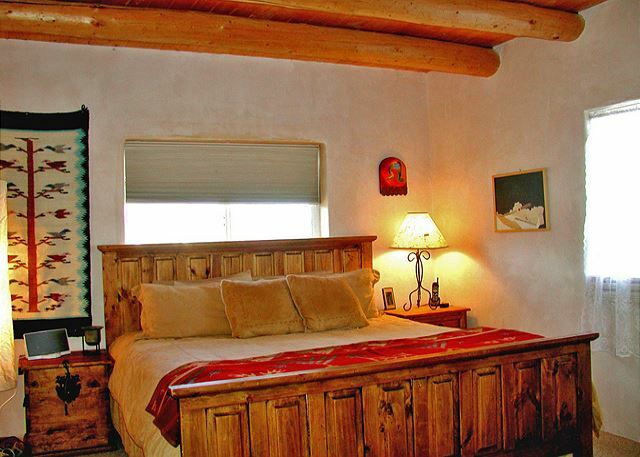 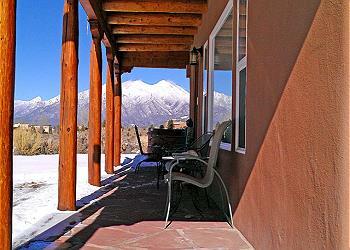 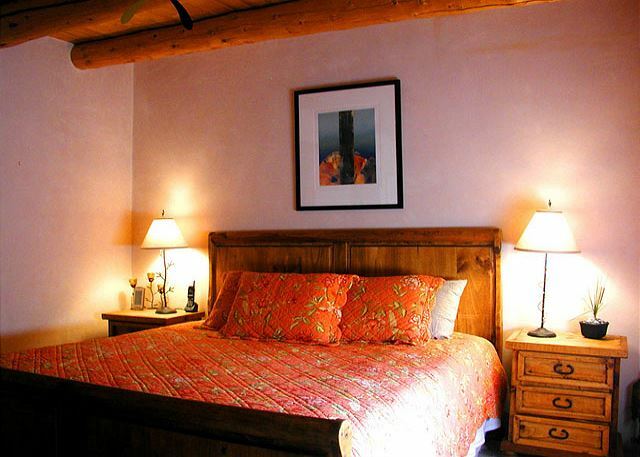 A rare Taos lodging opportunity as there are a limited number of Taos Vacation Rentals in the Weimer foot hills. A versatile home that can be rented as a 3/3, 2/2 or a 1/1 bedroom/bathroom vacation rental. 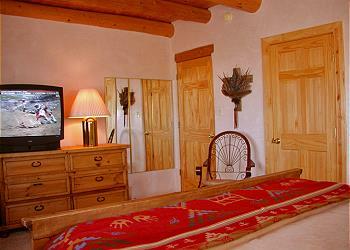 Unused rooms locked off and not rented to anyone else.